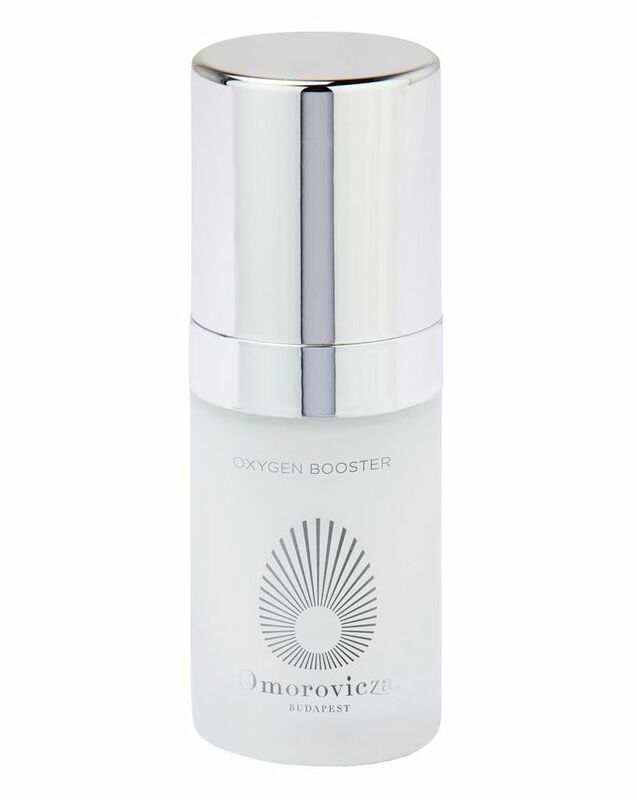 Resuscitate dulled, tired skin with Omoroviza’s Oxygen Booster – a shot of liquid oxygen that plumps, promotes skin’s radiance and instantly relaxes facial muscles to diminish visibility of wrinkles. Re-energising and revitalising, the refreshing water-gel texture feels wonderfully soothing – absorbing almost instantly to exhibit a firming and line-lessening effect – while hyaluronic acid attracts precious moisture to hydrate and restore skin’s ‘bounce’. 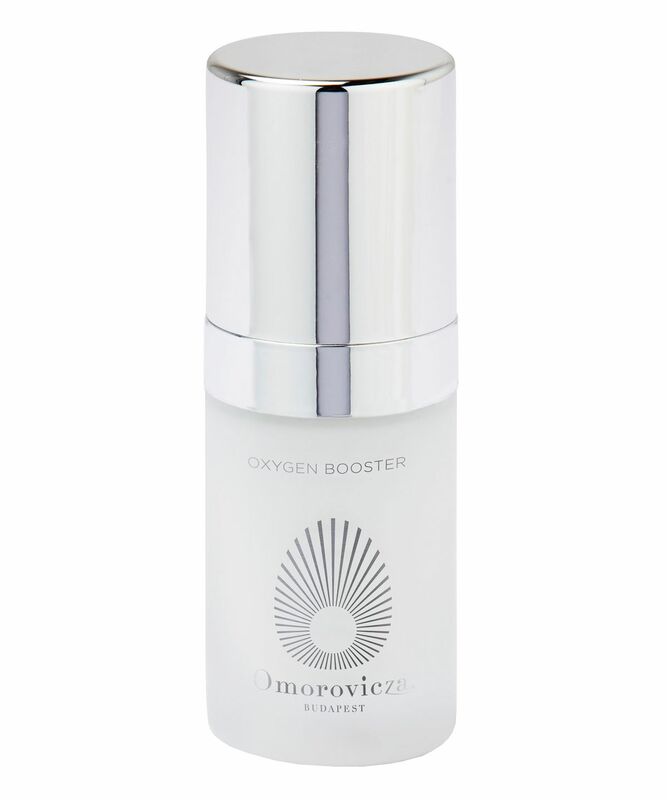 Designed to supercharge your skin care ritual, Oxygen Booster can be applied directly to just-cleansed complexions before serum, or added to your favourite daily hydrator to ‘boost’ its benefits. The perfect way to tailor your routine to your skin’s changing needs, this oxygen-rich elixir feels featherweight and instantly refreshing – cooling upon application to breathe new life into fatigued, lacklustre skin types. 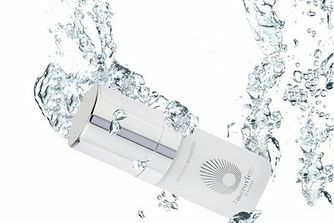 With Omorovicza’s signature 'Hydro Mineral Transference' delivery system, the cocktail of nasturtium-derived polysaccharides, regenerating swertia chirata extract and hyaluronic acid penetrates deeply to kick-start repair and renewal, while liquid oxygen and oxygen accelerators combine to stimulate regeneration and restore a youthful glow. Mix one or two drops of Oxygen Booster into your serum or moisturiser to ‘boost’ your skin care. Alternatively apply after cleansing and before your serum and moisturiser. Aqua (Hungarian Thermal Water), Saccharomyces Ferment Extract, Maltodextrin, Phenoxyethanol, Carbomer, Pullulan, V Phospholipids, Sodium Hyaluronate, Glycerin, Disodium Acetyl Glucosamine Phosphate, Perfluorohexane, Sodium Hydroxide, Tropaeolum Majus Flower/Leaf/StemExtract, Ethylhexylglycerin, Perfluoroperhydrophenanthrene, Disodium EDTA, Parfum (Fragrance), Perfluorodecalin, Swertia Chirata Extract, Perfluorodimethylcyclohexane, Mentha Piperita Oil. I use only the tiniest drop (not even a full pump, you really don't need much) with two pumps of the Instant Perfection Serum and mix it in my palm before applying it to my face in the mornings after I've used Omoressence. It actually gives a 'boost' in brightness and radiance - my skin tends to look very dull - and in combination with the serum, I don't need a moisturizer right now which is a blessing in this heat! (My skin is very oily yet needs a lot of moisture) It does everything it claimed it would. I'm sure I'll keep using it in winter, too, then probably followed by a moisturizer. I've been using this for about 6 weeks now and haven't run out yet. Probably not an absolutely essential product, but perfect for me. I liked this, or at least thought I might and then it ran out. It really is tiny and using even just one drop a time, it lasted some two weeks or so. Too expensive per drop for me. This was an impulse buy when the free Thermal Cleanser promo was on (i was left wondering why i'd ordered this in particular - it's brand new and no online reviews, I like to wait). i regret nothing. It really does do everything it promises in the short term. I'm not sure about long term as yet but it does take away the need for any tinted moisturiser/balm in the mornings. The booster felt very sticky on my skin. This needs to be applied to the completely dry skin, otherwise, it would foam slightly and prickle. Also, it was uncomfortable to apply moisturizer to it. A really weird product that did nothing for my skin. Also, the pump broke two weeks in, and there was no way to get to the rest of the product. I'm the biggest Omorovicza fan, but this was a waste of money for me. The only word to describe this product. My skin looks instantly brighter and radiant immediately after use!